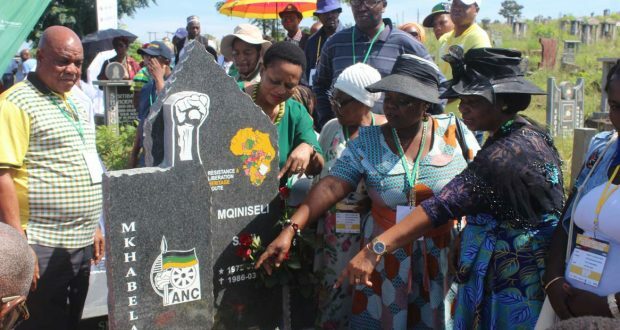 REMEMBERED – MEC Thandi Shongwe lays wreaths on the grave of the massacre victim, Mqiniseli Mkhabela. Plans to finally honour and afford the victims of the 1986 Lowveld Massacre the respect and dignity they deserve are well underway and could happen sooner rather than later. This was spelled out by the newly deployed MEC for Culture, Sport and Recreation, Thandi Shongwe who spoke to Ziwaphi News after she had visited the graves of the massacre victims at both Kanyamazane and Kabokweni cemeteries last Sunday. “I think the time has come for us to take full ownership and responsibility for this event. Now, it is the time for us to take pride in what these young men and women stood and died for. “It is actually the perfect time for us to honour all those who were killed and those who survived to tell the tale, in a manner befitting of heroes and heroines,” said Shongwe. 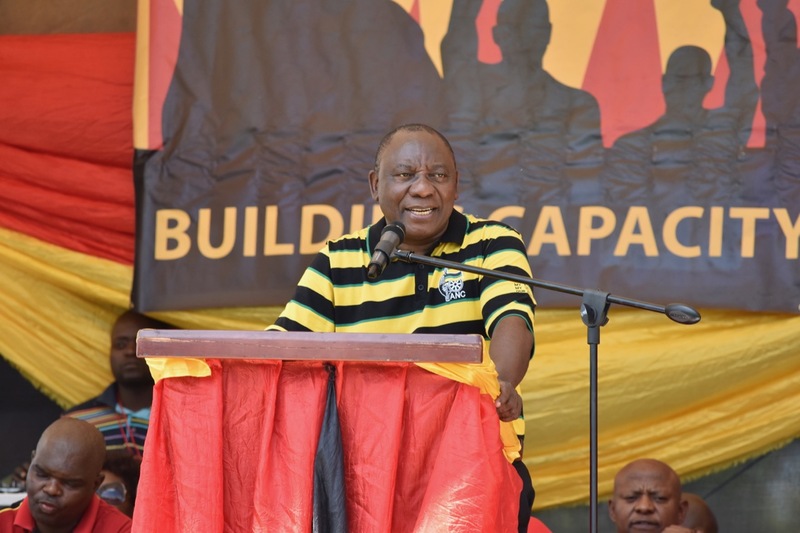 “It is embarrassing to see other provinces taking full ownership and pride in their people’s contribution in the fight against the apartheid regime. “As a province that possesses vast political history, we seriously need to document and preserve such history so that it is not lost. 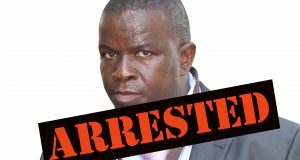 The next generation should know what and how this democracy was eventually won,” Shongwe continued. Shongwe said if it meant building monuments, erecting statues and writing history books, her department will do it just to honour and properly document and preserve the province’s history and the struggle for liberation stories. 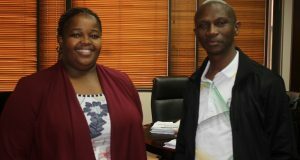 She was accompanied by the deputy minister of International Relations, Regina Mhaule who later gave the planned Lowveld Massacre memorial lecture. The victims’ families were also in attendance. A number of families who were affected by this mass shooting voiced their approval for these plans to properly honour their loved ones but also proposed that there be financial compensation from the government. 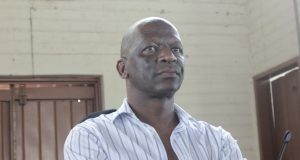 One survivor, Alfred Ndlovu who sustained multiple shots on his lower back and still lives with the bullets said, “We really appreciate the government’s plan to properly honour all the massacre victims, but we feel that there should also be some financial compensation because most families are struggling to make ends meet. We live in serious poverty. “Remember, most families lost children who were going to be bread winners and now they have nothing and no one helping them. It is for this reason that we are appealing for financial compensation more than anything,” said Ndlovu.